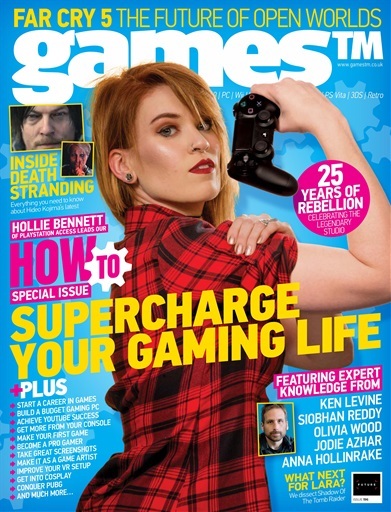 We decided to try something a little different this issue; a How To special to demystify the world of gaming and offer some guides that not only tell you more about what makes the industry tick, but will hopefully offer some tips to enhance your daily gaming experience and inspire you to try out some new things. We thought long and hard about the kind of questions that we tend to hear often from you, our readers, about the advice you’re looking for, the issues you face and the games you love to play. Therefore, we have produced a massive feature packed full of practical setup advice, guides to some of the extracurricular interests of many gamers, and that all-important industry insight that kickstarted the whole endeavour. You'll receive 13 issues during a 1 year games (TM) magazine subscription. You'll receive 13 issues during a 1 year games (TM) magazine print subscription.